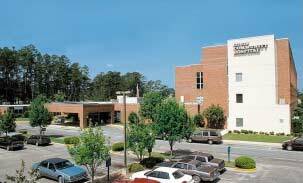 Loris Community Hospital, part of the Loris Healthcare System, is a patient-oriented hospital providing quality, personalized medical care to the Loris community. The 105-bed hospital has state-of-the-art technology, a compassionate, well-trained medical staff, and is accredited by the Joint Commission on Accreditation of Healthcare Organizations. The Loris Healthcare System, a member of the Coastal Carolinas Health Alliance, spans Horry County in South Carolina, and Columbus and Brunswick counties in North Carolina. Beginning with the founding of Loris Community Hospital in 1950, the Loris Healthcare System has grown over the years to include Seacoast Medical Center, Center for Health & Fitness, Loris Extended Care Center, and Family Health Centers in Loris and Green Sea. Loris Healthcare System provides a full range of inpatient and outpatient services, such as Cardiology, Diabetes Management, Emergency Services, ICU/PCU, Laboratory, Mercy Hospice, Pediatrics, Radiology, Rehabilitation, Sleep Clinic, Surgery, and Women�s Health. The Emergency Services departments at Loris Community Hospital and Seacoast Medical Center treat almost 40,000 patients a year. Loris Healthcare System boasts over 120 board-certified physicians representing 28 specialties and over 90 hospital volunteers. The LHS staff demonstrates its dedication to the community by providing Community Wellness events and programs, such as health screenings, health fairs, CPR training, and various support groups. Loris Hospital System continually grows and adapts to meet patient and community needs and to provide the most comprehensive medical care possible.